Angelica can be started in flats or direct seeded. Sow shallowly anytime in spring, no more than 6 mm (1/4 in) deep, tamp soil and wait for moisture. Space plants 60 cm (24 in) apart. 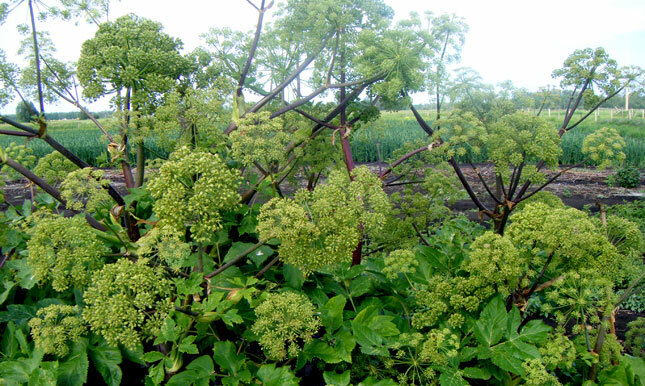 Angelica is a biennial: it will produce large leaves in its first year, and then bolt to seed on stalks up to 8 feet tall in its second year. A showpiece in the garden. Angelica roots and seeds make an unusual tea.